Who Let the Blogs Out?! Everyone has that one game that holds a very special place in their heart. These games might be popular or obscure, new or old, but whatever they may be, everyone has one. For me, that game is MediEvil, a PS1 action-adventure title from 1998 that takes a lot of aesthetic and gameplay cues from Ghosts ’n Goblins. Maybe you’re familiar with it - the game sold well enough to eventually be re-released under Sony’s Platinum Hits banner - but most people I talk to have never heard of Sir Daniel Fortesque or the dark fantasy world of Gallowmere. With that in mind, I decided I ought to put my thoughts to paper and give a proper explanation of not only the game itself, but what it means to me. Let’s begin with the main thing that differentiates MediEvil from other action games - its story and atmosphere. Everything from the game’s visuals to its music serve to create a wonderfully mysterious gothic vibe, but it’s all filled in with a healthy dose of humor. The game’s protagonist, Sir Dan, is the reanimated skeleton of a cowardly knight who died immediately in a great war but was honored as a brave hero by the King of Gallowmere. When the evil sorcerer Zarok raises the dead, Sir Dan gets up along with them. What follows is an adventure through the land of Gallowmere that sees our hero facing off with zombies, dragons, imps, and demons. The music, composed by Bob & Barn, is perhaps my favorite video game soundtrack of all time. Every track is not only overflowing with childhood nostalgia, but is beautiful and mysterious in its own right. I’ll be the first to admit that, from a gameplay perspective, there’s nothing especially unique about MediEvil. It’s probably best described as a hack ‘n slash adventure game with elements of puzzle-solving, but it’s far more than the sum of its parts. Sir Dan isn’t just running around with a sword and shield hacking at zombies the whole time; he has access to a surprisingly large arsenal of weapons that includes a comically-oversized hammer, a bow with magical arrows, and a set of dragon armor that lets him breathe fire. In addition to weapons, the player collects objects that can be used in certain parts of the environment to solve puzzles. The game’s variety is one of its strongest aspects. There’s something immensely satisfying about collecting a level’s chalice and being allowed to enter the Hall of Heroes - a Valhalla-like place where Sir Dan’s dead comrades rest - to collect a new weapon. But that variety also extends to the game’s levels, which are beautifully realized in a Tim Burton-esque gothic art style. The game begins in a cemetery, but by the end you’ll have journeyed to a farm full of possessed scarecrows, a greenhouse full of evil pumpkins, and a flying pirate ship manned by skeletons. In fact, MediEvil is practically full to bursting with memorable moments. 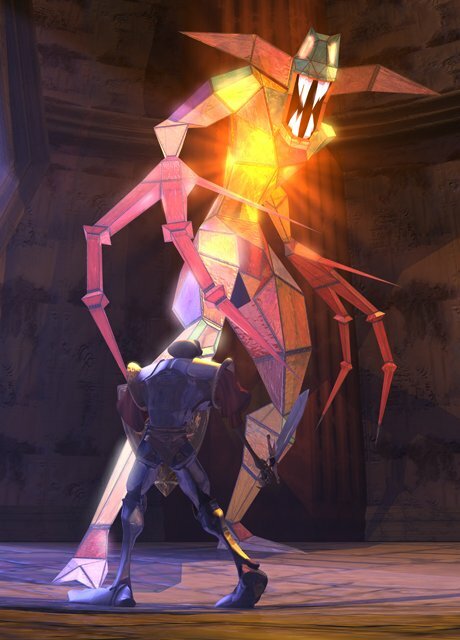 As a child, I could never face the Stained Glass Demon in the Hilltop Mausoleum. I would bury my face in the couch while my dad did the battle for me. 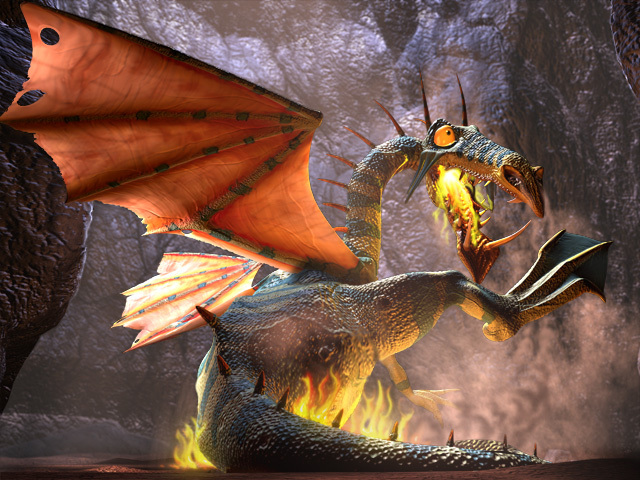 I also remember struggling against the dragon who inhabits the Crystal Caves. On my own, I never could have figured out how to beat him, but thankfully my dad had the strategy guide, so he knew to smash the floor with the hammer to drop boulders on his head. Ask me about any level from MediEvil, and I can tell you something that I remember clearly from it. I even look back fondly on the god-forsaken Pools of the Ancient Dead, where one misstep can lead to your death. But the challenge is part of the appeal. No, this isn’t Dark Souls; I’m not going to sit here and tell you that every death is completely fair. Sometimes the game’s slippery controls might send you off an edge, or the somewhat awkward hit detection might make fighting a group of enemies difficult, but I’ve never once begrudged playing a level again. Each one is a step back into my childhood evenings, when my dad would come home from work and I would watch him play through a couple levels before bed. “Oh God,” he would say. “Here comes Scarecrow Fields.” Sometimes he would beat his head against the Lake for over an hour before giving in, but I would always urge him on, because I could sit there and be transported into the world of Gallowmere for hours. There’s simply never been anything else quite like it. Here’s the thing about those games that hold special places in our hearts: They may or may not be all we make them out to be. Someone who goes to play MediEvil today might find in it a ho-hum action game. They might find the visuals too dated to appreciate the aesthetic, or the CG cutscenes too clunky to get swept up in the story like I did. And I wouldn’t fault anyone for that, because I realize that as much as I adore MediEvil purely on its own merits, it’s also very much my game. I can never look at it objectively, because it’s so deeply entwined with a time that often feels like a past life. MediEvil¸ to me, is an artifact from that life - one of the few that have survived. I can never be five years old again, burying my face in the couch at the scary parts. But I can always go back and play through MediEvil again, and every single level, song, and character feels like opening a time capsule that a little kid I once knew left for me. All those feelings aside, I want to end by saying this: MediEvil really is a special game. 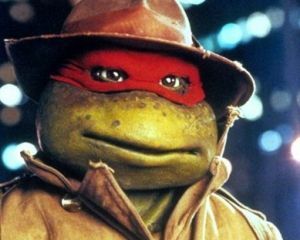 There are other games from my childhood that don’t hold the same place that it does, and that’s because those games didn’t leave such a striking impression in the first place. 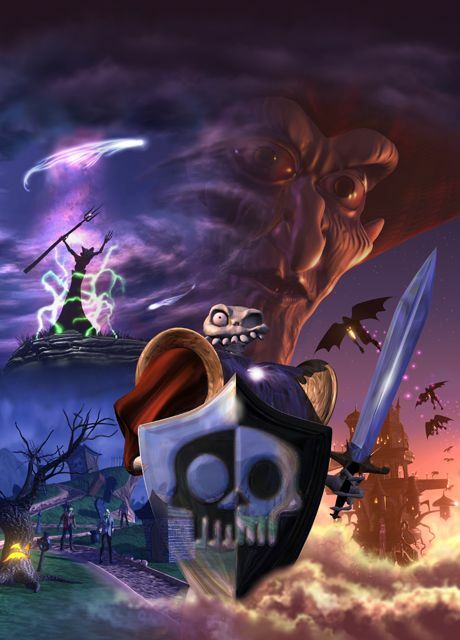 If I could bring one series back from the dead, it would be MediEvil¸ hands down. If you haven’t played it, I recommend checking it out on the PlayStation Store. It may not mean to you what it means to me, but I think you’ll find in it a journey very much worth embarking on.